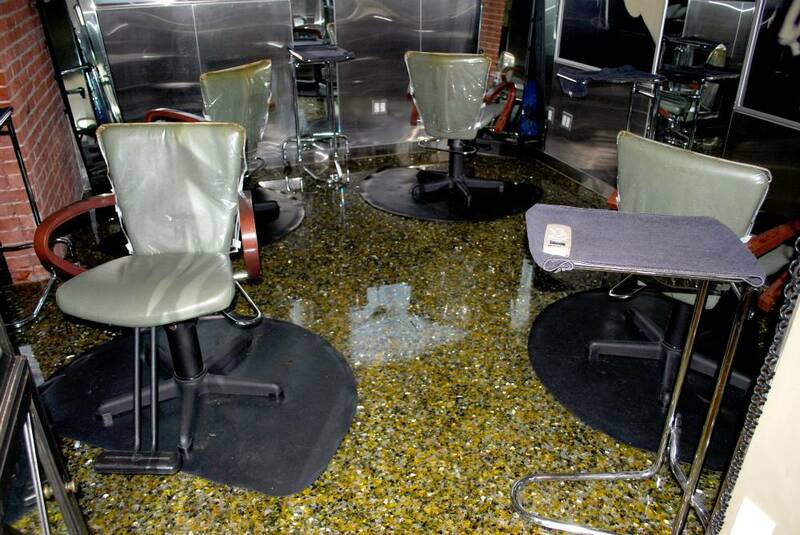 Customized Floor PermaFloor created this floor effect using recycled glass and crushed mirrors suspended in a deep gloss urethane. 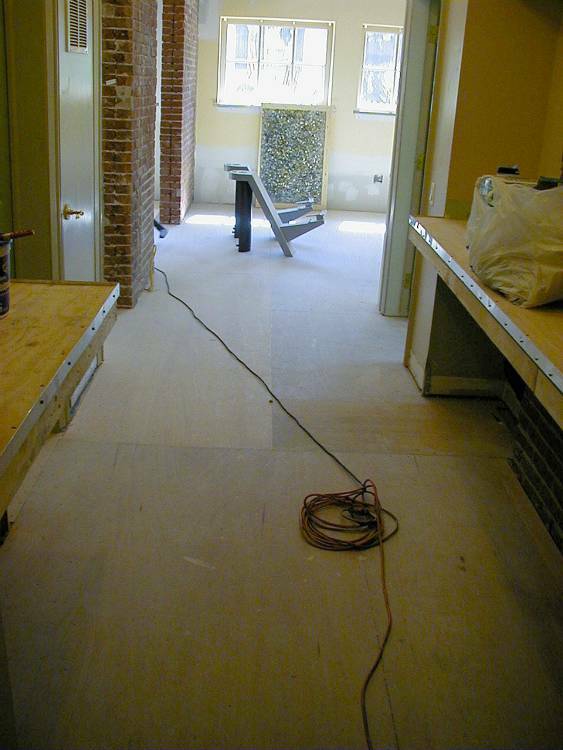 Customized Floor Wooden subfloor sanded and ready for installation. 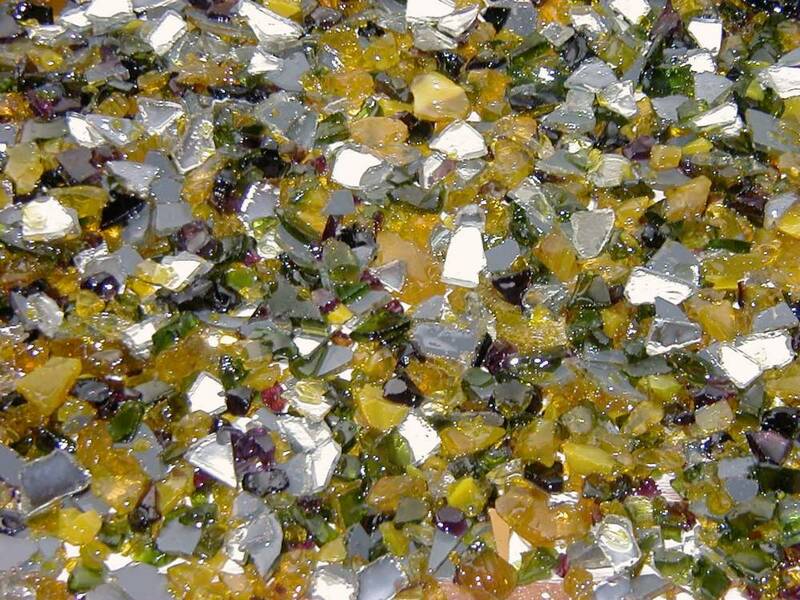 Customized Floor Glass material is applied by hand trowel. 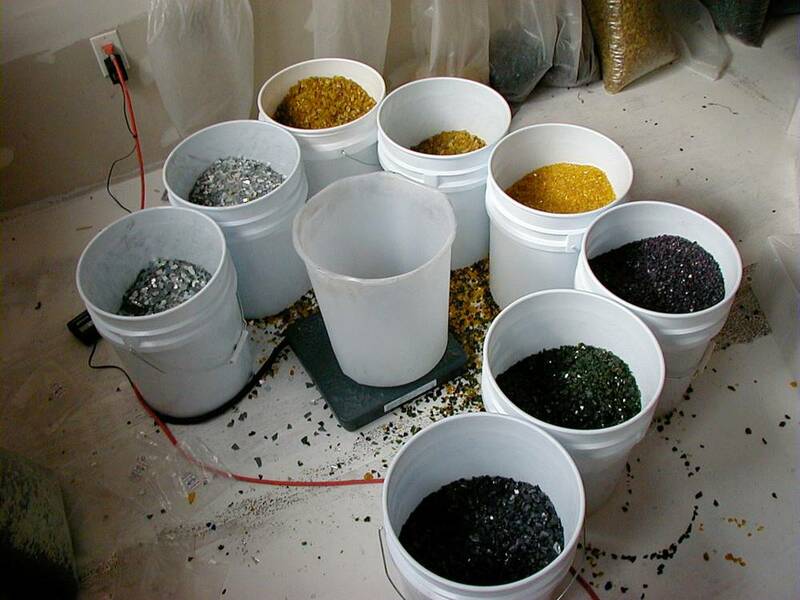 Customized Floor 8 different color components were combined. 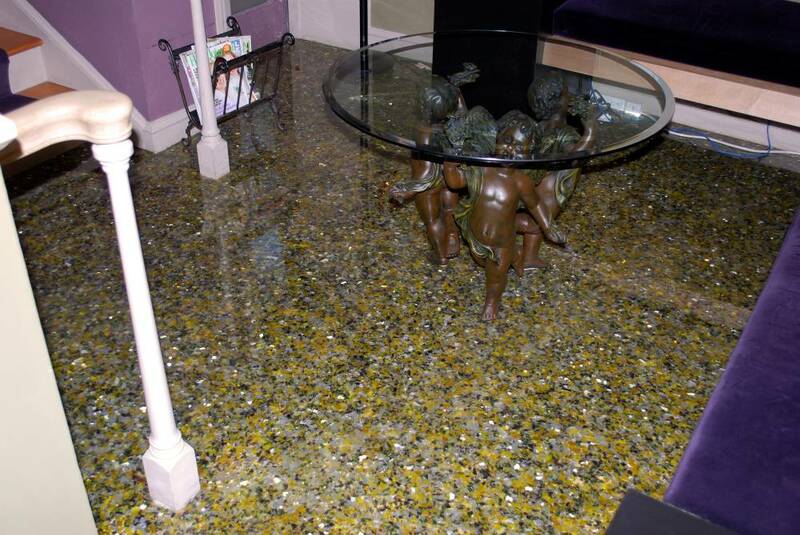 Customized Floor Close-up of the unique effect. 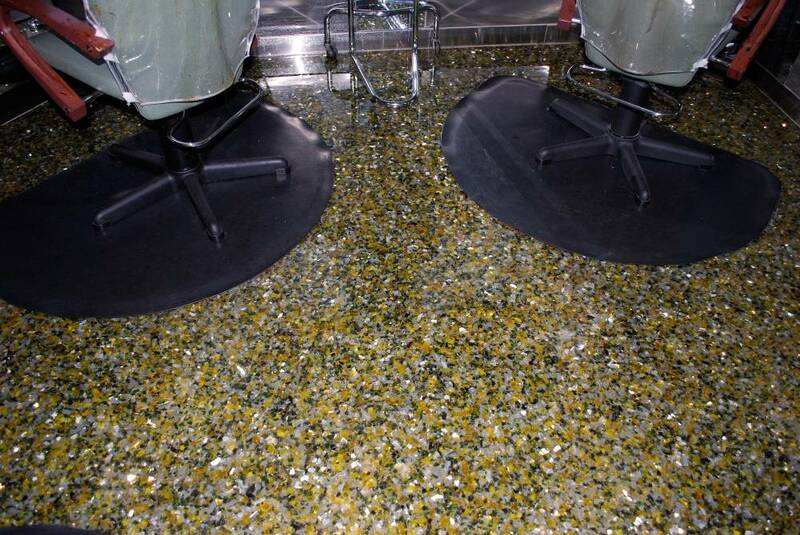 Customized Floor The deep urethane finish will resist traffic wear, chemical exposure and temperature shocks. 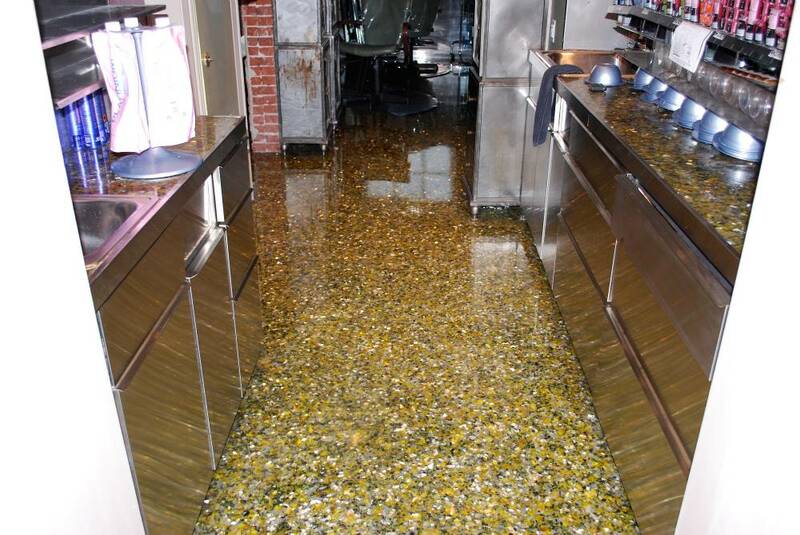 Customized Floor The seamless finish is easy to clean and maintain too. 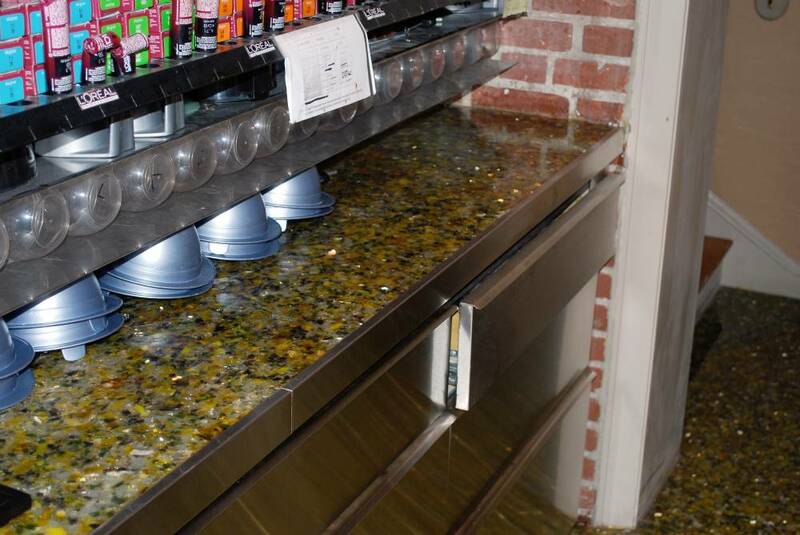 Customized Floor Countertops were also coated. 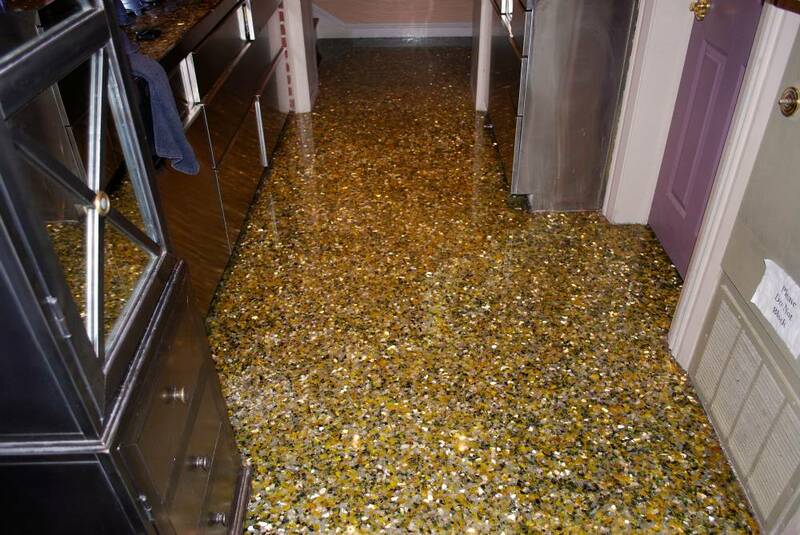 Customized Floor A dazzling effect that's incredibly durable. 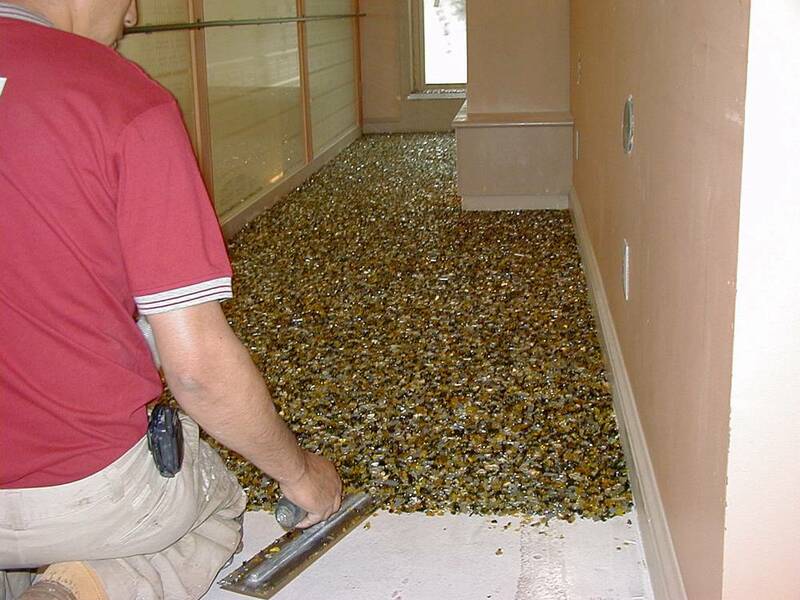 Customized Floor Ready for business.